Woot woot…. 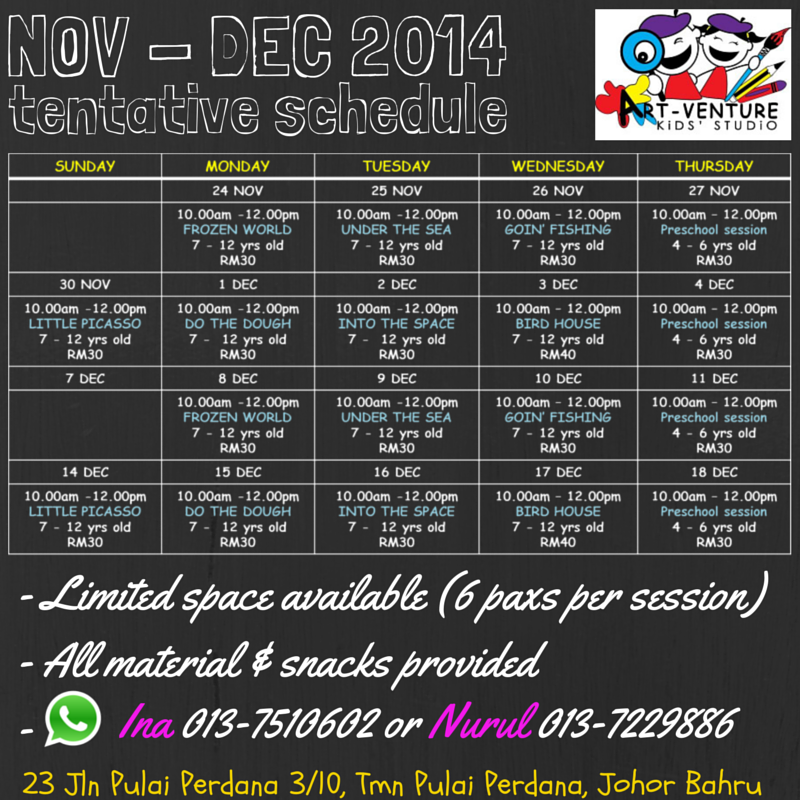 parents in JB, check out our schedule for next school holiday program in JB!! Posted on November 18, 2014 by artventurekids	• This entry was posted in Others and tagged aktiviti cuti sekolah, art class for kids, art class in JB, bengkel art & craft, bengkel cuti sekolah 2014, kelas seni dan kraf untuk kanak-kanak, workshop cuti sekolah 2014. Bookmark the permalink.